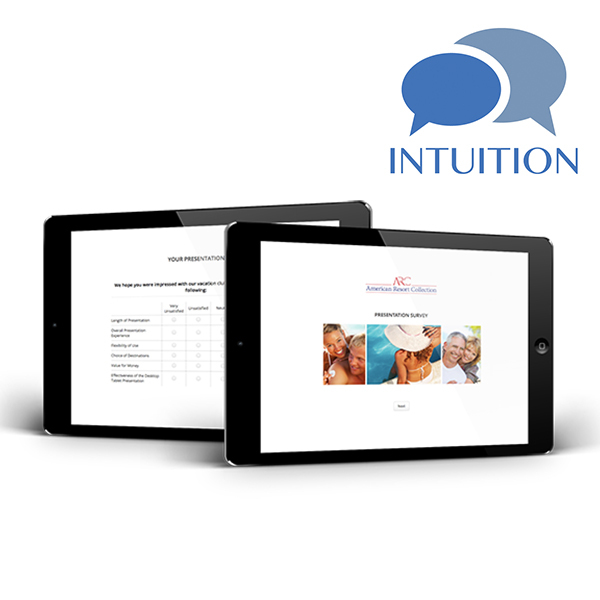 Orlando, Florida, June 13, 2017 (INTUITION) – INTUITION, a powerful Customer Engagement Solution that is changing the way hotels and resorts communicate with guests and manage online reputation has released another free enhancement to its Sales Performance Survey solution used by timeshare resort developers throughout the USA, Mexico and The Caribbean. Offering real-time feedback for sales center operations, INTUITION clients are able to identify customer opinion and sentiment on each sales presentation moments after it finishes, and track performance on an individual, team and group-wide basis. This provides valuable insights into areas for improvement, sales training, potential lost sales, compliance and benchmarking. Now, the Sales Performance Survey is more deeply integrated into the powerful Business Intelligence platform that powers most of the INTUITION features. The enhanced integration enables clients to look deeper into a customer profile, from pre-arrival and on-site marketing and communications (Email and SMS), through the sales process, feedback from post-stay surveys, online reviews and beyond, all in one fluid system. Another new feature enables clients to benefit from INTUITION’s marketing automation service to drive Tour No Buy and Referral Programs based on the results received from the Sales Performance Survey. Through clever architecture and using the latest technology, the INTUITION platform is also able to dynamically adjust post stay messaging according to on-site feedback, providing more targeted messaging that is sensitive to satisfaction levels already captured. “The INTUITION platform is an exciting service that is constantly expanding its capabilities, many of which are conceived and requested by our clients, who benefit from a close relationship with the INTUITION team – who custom-build and fully manage each customer engagement strategy.” Says Paul Mattimoe, President & CEO, INTUITION Brand Marketing. INTUITION Brand Marketing which is based in Orlando, Florida, has recently expanded its team in Latin America due to rapid growth in the region. The company also provides services multi-language solutions to clients throughout Europe, Asia and Australia.